Schedule a Consultation with the Inland Empire’s Favorite Family Dentist! Flaws in color, shape and teeth structure can really affect a person’s smile and impact their self-esteem. Dr. Derek B. Hauser, DDS, is an advanced cosmetic dentist who has helped dramatically improve and enhance patients’ smiles for 20 years. Contact (951) 244-9495 to schedule an appointment and discuss the options to restore amazing, long-lasting oral health and a beautiful smile. 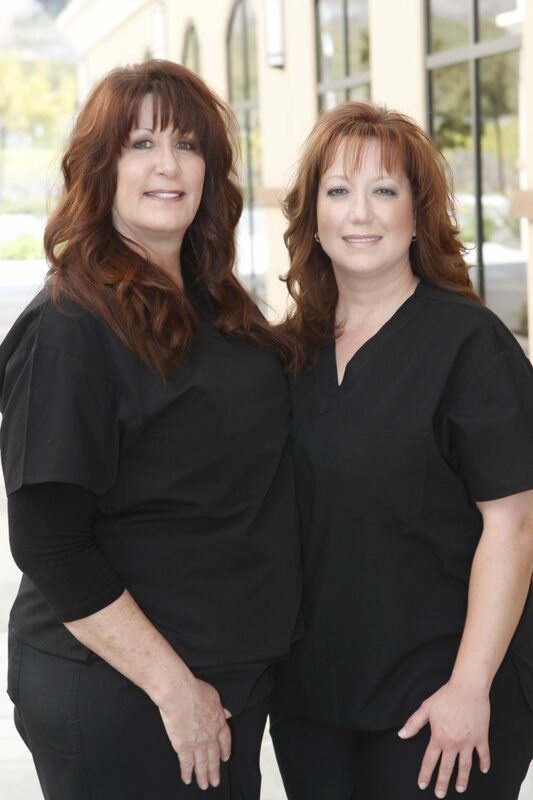 Lakefront Family Dentistry serves Corona, California, and other surrounding cities in the Inland Empire. We provide complete dental solutions for families in Riverside County. Dr. Hauser and his team are committed to exceeding expectations for our patients by providing high-quality services with gentle treatment. One of the first things people notice is the color of your teeth and smile. As aging occurs, natural white enamel surfaces start to darken. This is due in part to normal, physical changes that occur; oral hygiene habits; and personal exposure to: coffee, tea, and smoking. There are lots of whitening products on the market today, both over-the-counter and prescription based. Before choosing any specific treatment, the American Dental Association (ADA) recommends consumers consult with a licensed dentist to help decide whether whitening services are a good solution for them. Not all individuals are good candidates for whitening solutions. Dr. Hauser conducts a thorough exam and overall health assessment to determine whether you would benefit from this type of service. Patients with a cavity or extremely dark staining, for example, may not get the results they desire. People with overall healthy mouths may see significant results from our professional whitening procedure. Our certified assistant creates a custom mold of your mouth, which will be used with our professional strength whitening product. This whitening agent can be worn either twice a day for 30 minutes or overnight for up to 2 weeks (depending on the severity of existing stains). This procedure is usually completed in 2 visits. This is not a permanent solution, but long-lasting results can be obtained by maintaining good brushing habits. 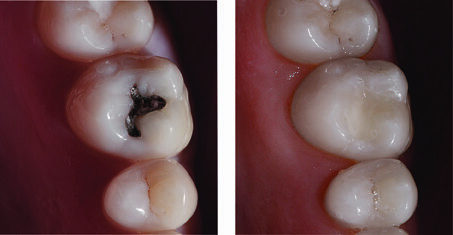 Tired of Looking at the Silver (Amalgam) in Your Mouth or Seeing it When You Smile? Dr. Hauser can Easily Replace Them to Match Your Other Teeth Color. Tooth size and shape have a big affect on the overall appearance of a healthy, youthful smile. Normal wear and tear to enamel occurs naturally as people get older. Teeth grinding is a main cause of shape and size changes, which erodes and destroys natural enamel. Normal wear and erosion causes the front teeth to flatten and form a straight line. The rectangular appearance has a dramatic effect on a person’s smile. This shape irregularity takes away the younger-looking, more natural smile created by the two front teeth that are slightly longer and rounded at the bottom than others next to them. Dr. Hauser has an outstanding reputation in Riverside County as a leading family dentist specializing in cosmetic restorations. We are proud to have a beautiful, state-of-the-art facility. Our warm, friendly staff has families of their own and understands what parents expect from their provider. Lakefront Family Dentistry proudly offers advanced technology not available in most practitioner offices in Riverside County. Our office owns the revolutionary CEREC system that combines 3D computer imaging with top-of-the-line computer aided equipment. Dr. Hauser uses this system to help create same-day restorations that are permanently placed in one visit. With our same day services, Dr. Hauser and his skilled team create digital mouth impressions used to capture flawless, three-dimensional images. These impressions are used in conjunction with an in-house system that creates remarkably natural looking porcelain crowns, bridges and veneers within minutes. Lakefront Family Dentistry focuses on providing complete dental solutions for your spouse, children and other loved ones. Dr. Hauser takes the time to develop personal relationships with everyone who trusts their care to us. In this office, you will always meet directly with Dr. Hauser, as we do not employ a practice of using rotating dentists to help families. We hope to help alleviate any stress associated with feelings about a trip to the family dentist. When visiting our office, you may notice the warm and inviting décor that was uniquely planned and designed to be welcoming. The hand-picked exquisite décor and furniture in this office sets us apart from clinical type offices with hard chairs and empty, white walls. The music is picked solely by Dr. Hauser, and clients often comment at how great the music is over any other dental office. Our exam rooms are furnished with high quality, premium dental furniture. We feature A-dec chairs and equipment, regarded as “best in class” for their plush seating and ergonomically correct designs to help both patient and practitioner have the highest comfort level possible. Lakefront Family Dentistry looks forward to becoming your chosen partner in helping maintain excellent oral health. Please call (951) 244-9495 and schedule an appointment with the leading dentist, Dr. Hauser, in Corona, CA. You can also make an appointment online with us today!